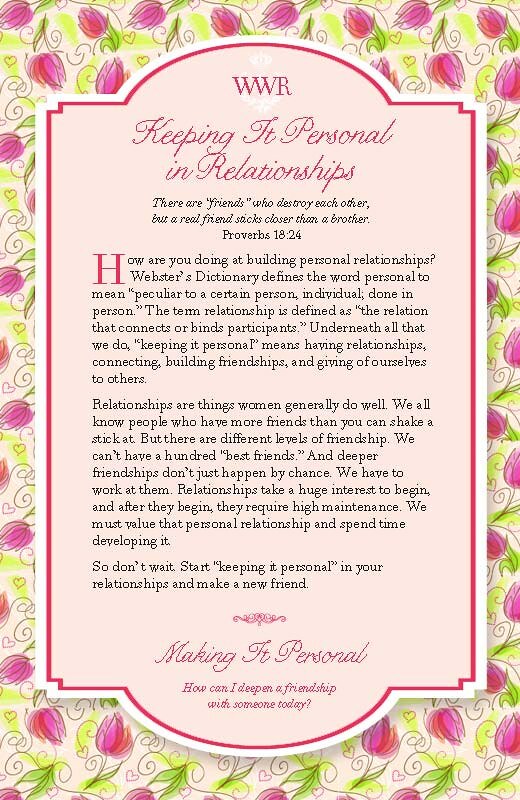 Week 5 is all about personal relationships. Our Co-Founder Joan Horner valued personal relationships and spent time developing them, always remembering to keep it personal. See below to read more of Joan’ thoughts on keeping it persona l in an excerpt from her “Keeping It Personal” devotional book.